Congratulations go out from BallinEurope to the Los Angeles Lakers and Brose Baskets Bamberg for taking national titles last night/this morning, while Montepaschi Siena is one big step closer to ending up Serie A champs yet again. The last shall be first: You may have heard that the Lakers won their second consecutive NBA title already … in a remarkable display of D and despite notably horrific shooting, Los Angeles managed to overcome a 13-pont third quarter deficit and win, 83-79, over the Boston Celtics in the decisive game seven. 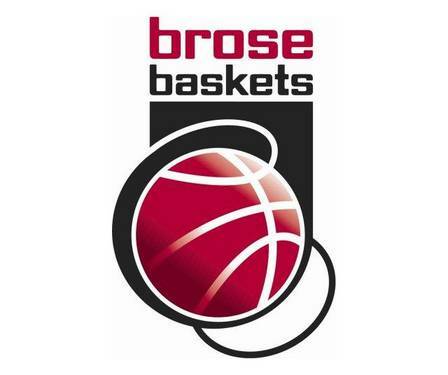 In Germany, home team Brose Baskets Bamberg earned a spot in Euroleague 2010-11 by holding on for the 72-70 win against Deutsche Bank Skyliners. The trophy signifies Bamberg’s third German championship, but the first double-title season in club history, having taken the BBL Cup in April. Brose Baskets’ Casey Jacobsen was named finals MVP, but coach Chris Fleming praised the efforts of Tibor Pleiss on defense and the offense of John Goldsberry, who went for 15 points in the final game. Anton Gavel had 16 points for the champions, while Pascal Roller put in 20 and Seth Doliboa added 19 for the Skyliners. Finally, to no one’s surprise, Montepaschi Siena is on the verge of making it four consecutive Italian titles in decisively beating AJ Milano, 88-75, to take a 3-0 lead in games in the Serie A championship series. The fat lady was warming up in the wings early in this one, as Siena jumped out to 27-7 lead, had a comfortable 32-11 margin after a quarter, and hit cruise control. Four players scored in double figures for Siena; game highlights can be found here. And now, we await the crowning of the Serbian Superleague champion … with Partizan Belgrade up two games to zip over Hemofarm Stada and game three tonight, the 2009-10 basketball season would appear to be 18 hours or so from wrapping up. In Italy it’s not over yet (but it will be tomorrow, probably). Siena has 3-0 overall in the best of seven series. Oops! I thought it was best-of-five. Corrections made.